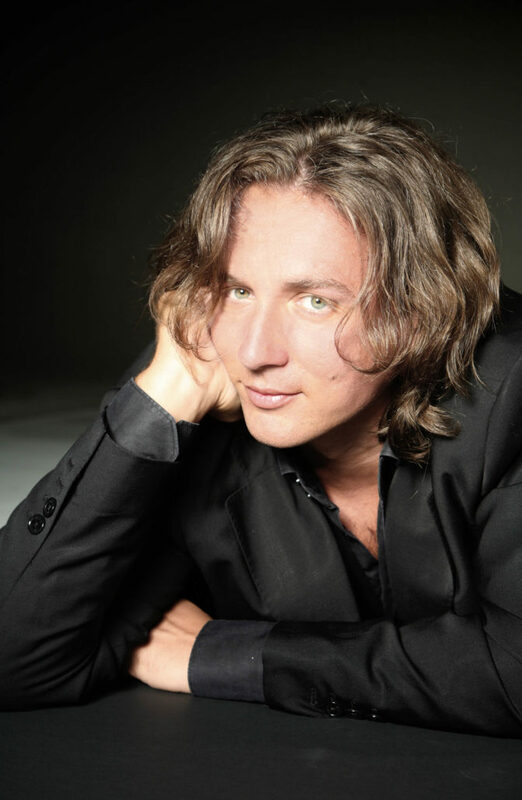 Ivan Magri is rapidly gaining recognition as a leading tenor at such theaters as the Bayerische Staatsoper in Munich, Staatsoper Berlin, Deutsche Oper Berlin, Teatro dell’Opera di Roma, Opernhaus Zürich, Dutch National Opera in Amsterdam, Teatro Colon in Buenos Aires and Theatro Municipal in São Paulo. This season, he will sing Nemorino in L’elisir d’amore at the Royal Opera House – Covent Garden, the title role in Werther at the Hungarian State Opera in Budapest, and the Duke in Rigoletto at the Staatsoper Stuttgart, Staatsoper Hamburg, Semperoper Dresden and Savonlinna Festival in Finland. Magri’s engagements for the 2015⁄16 season included Rodolfo in La Boheme at the Teatro Petruzzelli in Bari, Oper Köln and Theatro Municipal in São Paulo and Rio de Janeiro, the Duke with Opera di Firenze in Florence, and Rodolfo in Luisa Miller at the Staatsoper Hamburg. In the 2014⁄15 season, he sang Alfredo in La Traviata at the Staatsoper Berlin and Savonlinna Festival, Rodolfo in Luisa Miller at the Staatsoper Hamburg and Opernhaus Zürich, the Duke at the Hungarian State Opera, Dutch National Opera and Opera di Firenze, and Nemorino in L’elisir d’amore at the Teatro Colon in Buenos Aires. Engagements from the 2013⁄14 season included the Duke at the Hungarian State Opera and Deutsche Oper Berlin, Gabriele in Simon Boccanegra at the Palau de les Arts in Valencia, and Alfredo at the Israeli Opera and Deutsche Oper Berlin. Highlights from Magri’s previous seasons include Arturo in I Puritani at the Teatro Comunale di Bologna, Latvian National Opera in Riga, and Slovak National Theatre in Bratislava; the Duke at the Deutsche Oper Berlin, Teatro Comunale di Bologna, Teatro Sociale in Como, Opera Las Palmas, Teatro Regio in Turin, and Estonian National Opera; Nemorino at the Teatro dell’Opera di Roma, Teatro Regio, Opera de Lima, and Festival Donizetti in Bergamo; and Alfredo at the Florida Grand Opera, Bayerische Staatsoper, Palau de les Artes, Macerata Opera Festival, and in Seoul. He has also appeared in I due Foscari in Valencia, The Lombards on the First Crusade in Piacenza, Werther in Estonia, Virginia Mercadante at the Wexford Festival, The Merry Widow in Turin, and he opened the Teatro Regio di Parma season with Verdi’s Un giorno di regno. In 2008, Magri appeared in Manon Lescaut at the Teatro Carlo Felice in Genoa, conducted by Daniel Oren, Lucia di Lammermoor at the Teatro Comunale in Bologna and Teatro Municipale in Ferrara, and Donizetti’s Marin Faliero at the Teatro Verdi in Sassari and in Bergamo. Magri made his operatic debut in the summer of 2006 as Ernesto in Don Pasquale. Born in Cantania, Sicily, Ivan Magri first studied voice with Domenica Monti and eventually received a diploma with full marks from the Conservatorio Giussepe Verdi, where he studied with Giovanni Canetti and Wilma Borelli. Magri also had the great privilege to be taught by Luciano Pavarotti. He has won many international competitions, such as the Riccardo Zandonai International Competition for young opera singers and the Francesco Maria Martini Competition.